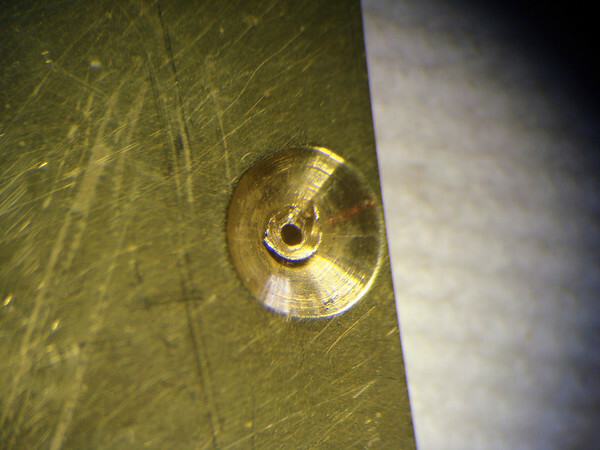 These three pictures show the really crap bushing work that was done by a clock repair person. I find that most clock repair folk, when they can't get a mechanism to run, automatically start bushing any and every pivot. And then, after they do really really poor work they wonder why it won't run. This mechanism was blessed with both crap bushing work and really bad pallet and escape-wheel work.